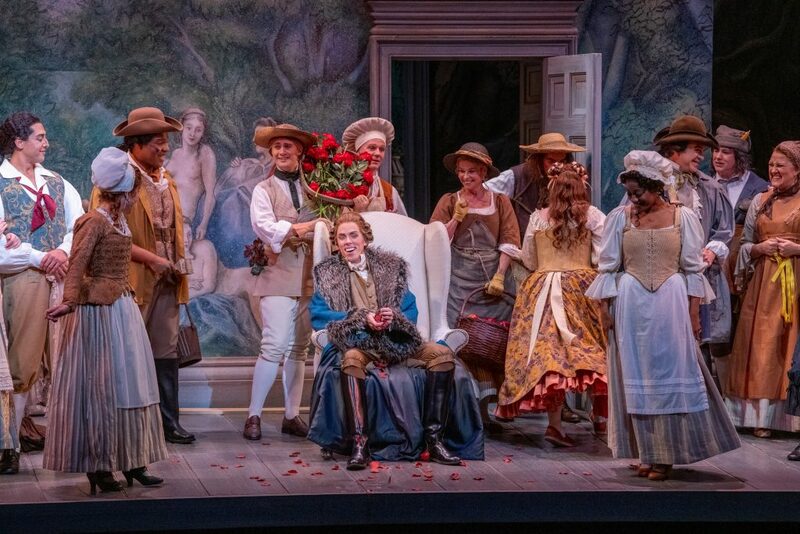 Operagoers may think of Mozart’s The Marriage of Figaro as a quaint and old- fashioned, lighthearted comedy. That’s wrong, as audiences will learn when they attend Florida Grand Opera’s revival of the work, which opened at Miami’s Adrienne Arsht Center on Saturday. When Mozart composed his opera in 1786, the play that was its basis was considered so seditious that the Austrian censors compelled librettist Lorenzo da Ponte to tone down the political elements. The miracle is that Mozart took all this serious stuff and couched it in the form of an opera buffa, expressing deep emotions and social commentary in music that appeals equally to the novice and the seasoned opera buff. Da Ponte’s Italian libretto was inspired by French playwright Pierre-Augustin Caron de Beaumarchais, author of the Figaro trilogy that began with The Barber of Seville a decade before. Beaumarchais was a French revolutionary writer and man-of-all-trades much like his eponymous hero. The fictitious Figaro became a symbol of the clever common man, who is not only smarter than his aristocratic oppressors, but also morally superior. When Da Ponte adapted Beaumarchais’ Marriage of Figaro play (the sequel to Barber) he changed a monologue in which Figaro denounces the nobility into a tirade against women — a more acceptable target. In 1792, a year after Mozart’s death, Beaumarchais completed his trilogy with The Guilty Mother, a cynical afterthought in which the characters have grown old, disillusioned and unhappy. All three plays have been made into operas. 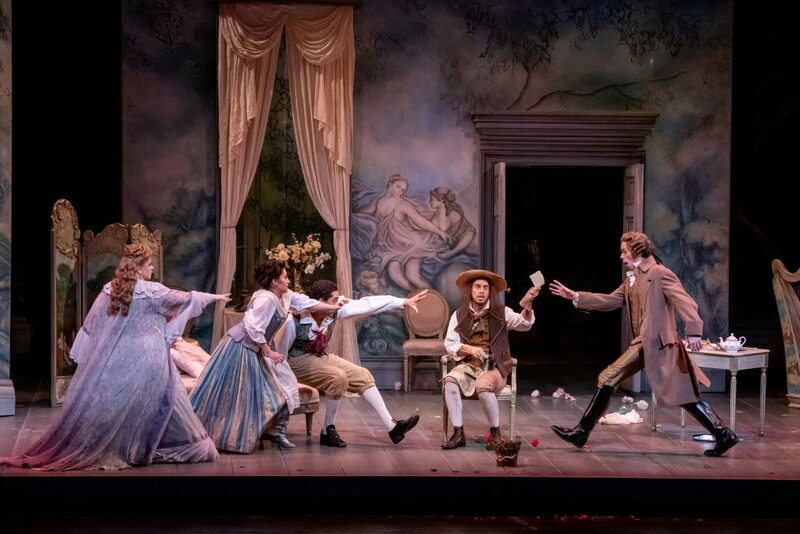 In 21st-century perspective, The Marriage of Figaro might be a #MeToo opera, in which all the female characters face some sort of abuse by the men around them. In Barber (set to music first by Paisiello and later, famously, by Rossini) the young Rosina had been held captive by her lecherous guardian Dr. Bartolo, until Figaro helps the Count Almaviva to abduct and marry her. Now, she is the Countess Almaviva, and that marriage has gone awry. Her handsome lover has become a faithless and brutal husband, and the lonely, betrayed countess must rely on her chambermaid Susanna for support and companionship. Susanna is about to marry Figaro – now the count’s valet – but the count has designs on her as well. Dredging up the droit du seigneur, a medieval law that allowed the lord of a manor to spend the first night with the bride of a serf, the count expects to force Susanna to give in to him. The central plot of The Marriage of Figaro is how the servants help the countess thwart the count’s intentions. To an enlightened 18th-century audience, invoking the obsolete droit du seigneur would have been unthinkable. Beaumarchais used the device to make the “noble” count look dissolute and barbaric, with his long-suffering wife and her honest servant girl as the victims. It takes Figaro to sort things out – as he had done earlier in Barber. In Beaumarchais, Figaro says to an invisible count, “the wisdom you have acquired consists in vile arts, to gratify vile passions … Your justice is the inveterate persecution of those who have the will and the wit to resist your depredations.” Those lines do not appear in the opera, where Figaro’s last act monologue is a warning to the men in the audience about the faithlessness of women. Ohio native Calvin Griffin, who performs the title character in FGO’s production, says, “To portray the clever servant who ends up outwitting his master was a bold message in that time period. I have been lucky enough to not have experienced any persecution in the field of opera, but that’s not the case for everyone. There is, unfortunately, still some present, based on physical appearance, and opera has been far from spotless in the light of the #metoo movement. Griffin himself found how important it is to be ready and astute when he was an FGO studio artist in November 2016. He had been assigned to cover (understudy) the role of Escamillo in Bizet’s Carmen, when the baritone on stage became ill and lost his voice after the second act. The younger singer made an unexpected and successful company debut, singing the remainder of the opera from the orchestra pit, while the indisposed established artist mouthed the words on stage. In The Marriage of Figaro, even the supporting female characters have suffered abuse from the men in their lives. The count has likely molested the gardener’s daughter Barbarina, as well as others among the peasant girls who come to sing him choruses of praise. Barbarina ends up marrying the count’s randy teenage page Cherubino – surely a step upward socially – but Cherubino shows all the signs of taking on the count’s worst traits in adulthood. In the third play of the trilogy, in fact, we learn that he has produced an illegitimate son by the countess. It’s worth noting that Beaumarchais did not title his final play The Guilty Father. The opera’s central imbroglio involves Marcellina, Dr. Bartolo’s aged housekeeper, who has loaned money to Figaro with a contract that would force him to marry her if he does not pay it back – until it turns out that Figaro is her long-lost illegitimate son, whom she was forced give up at birth. And who is Figaro’s father? Dr. Bartolo, a wealthy lawyer who doesn’t seem to have suffered any consequences at all. Now, being exposed, however, he will have to marry his old mistress after all. 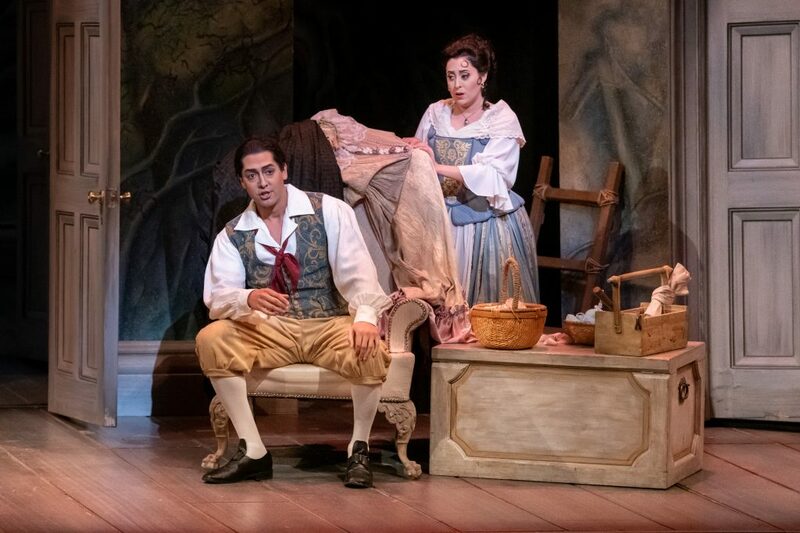 The Marriage of Figaro can be seen at 8 pm tonight and Thursday night, and 2 p.m. Sunday at the Ziff Ballet Opera House in Miami, and Feb. 7 and Feb. 9 at the Broward Center for the Performing Arts. For tickets and more information, call 800-741-1010 or visit fgo.org.